Menopause is a difficult time for most women, but for women with disabilities, there's more to the story. The symptoms and problems that go along with this stage of life are compounded by the fact that some disabilities and chronic diseases are affected by menopause in unexpected ways. The most well-known symptom is the hot flashes that most menopausal women experience, but there are many others: depression and other emotional disturbances, migraines, palpitations, insomnia, weight fluctuation, night sweats, dizziness, memory loss, and bladder and urinary problems. For women with disabilities, there are additional problems to contend with. Depending on the nature of her disability, a woman may experience more severe bladder problems, lower tolerance to heat, poor circulation, and skin problems. For women with chronic diseases, menopause may lead to an accelerated progress of disease or a worsening of symptoms. While menopause itself is now a fairly well-documented condition, the effects of menopause on disabilities—and vice versa—are not at all understood, and there is very little research exploring the intersection of menopause and disability. In large part, this is simply because women with disabilities are living longer, as are people in general, which means there are opportunities for research that haven't previously existed. In medical terms, there's another reason that can make this kind of research highly complicated: disabilities take many different forms, from disability caused by injury to chronic illness and developmental delay. Because of this it has historically been argued that any research examining how menopause physically interacts with disability cannot ever be relevant to all disabled women. Despite the potential benefits, the end result is that there's very little research that simply explores how menopause impacts the lives of women with disabilities, and how disabled women feel about menopause. This is starting to change, however, with a number of studies that explore these very issues. One example is a study carried out in Canada, a collaborative effort by the British Columbia Center of Excellence for Women's Health, and the Women's Health in Midlife Project. The authors note that it's difficult to “distinguish the differential impacts of menopause, aging, and the effects of a disability”, and further that this problem is one that women themselves identify when they talk about how menopause has impacted them. Another important issue is that people with disabilities are disproportionately affected by poverty and social discrimination, and that these issues contribute to how women experience menopause and other midlife health events. Nonetheless, this and other research efforts have made some important contributions to this field of study. One example is the way in which some side effects of menopause are exacerbated by certain disabilities. For example, after menopause, women have an increased risk of developing osteoporosis. The risk is further increased for women with certain disabilities, including rheumatoid arthritis, epilepsy, and multiple sclerosis, because standard treatments for these conditions can accelerate loss of bone density. Another example of such interactions is that women with spinal cord injuries have an increased risk of autonomic dysreflexive events, because they can be triggered by the hormone fluctuations that occur during menopause. Another area of focus is interactions between menopause and autoimmune disorders. It has become apparent that many autoimmune disorders are influenced by estrogen, and some chronic conditions are also affected by hormone levels. For example, women with epilepsy may experience an increase in frequency or severity of seizures as they go through menopause, as a result of a decline in estrogen levels. 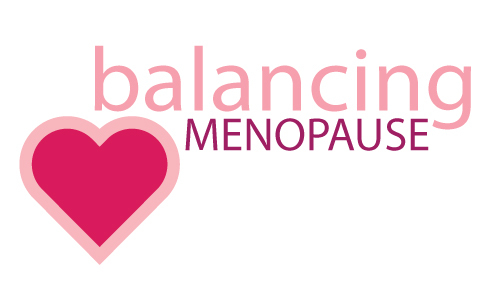 Just as important are the emotional and psychological changes that women go through as they experience menopause, and how these changes often occur in conjunction with significant physical changes not only due to menopause, but also to their disability. For many women with disabilities, it's difficult to distinguish changes that happen as a result of menopause, and those that are due to their disability, a situation that only highlights the need for more extensive research. Baylor College of Medicine Center for Research on Women with Disabilities. Menopause. Accessed September 3, 2015. Claire Z. Kalpakjian and Elisabeth H. Quint. Menopause Research in Women with Spinal Cord Injury: Challenges and Opportunities. In Topics in Spinal Cord Injury Rehabilitation, Summer 2009. Accessed September 3, 2015. Claire Z. Kalpakjian, et al. Menopause Characteristics of Women with Physical Disabilities. Accessed September 3, 2015. Lynne Swanson. Surviving the Change: Menopause and Women with Disabilities. In Abilities Magazine, Spring 1998. Accessed September 3, 2015. Marina Morrow with the Midlife Health Needs of Women with Disabilities Advisory Committee. The Challenges of Change: Midlife Health Needs of Women with Disabilities. Accessed September 3, 2015. Psych Guides. Living With Menopause. Accessed September 3, 2015. United Spinal Resource Center. Women's Issues: Menopause. Accessed September 3, 2015. "I've been working as a writer now for the last year or so, after giving up a career in the city - working in the finance sector. I found it really stressful and once I became a mom, more difficult to juggle alongside my desire to see my two children brought up properly - and how I wanted them to be. In my spare time, I worked as a volunteer for a mental health charity, I'm someone who has always suffered from high anxiety and depression - working with people who had the same problems as me also made me reassess and step back. I'm now a bit happier than I was, and working towards a career that still has challenges, but allows me more freedom"